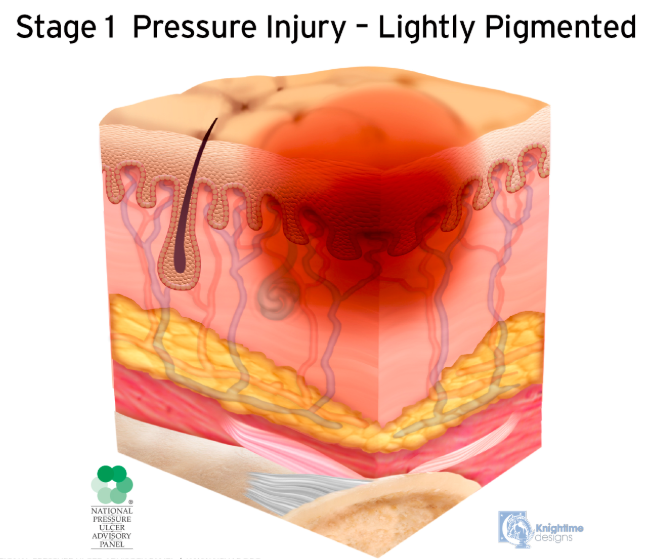 A pressure injury is localized damage to the skin and underlying soft tissue usually over a bony prominence or related to a medical or other device. 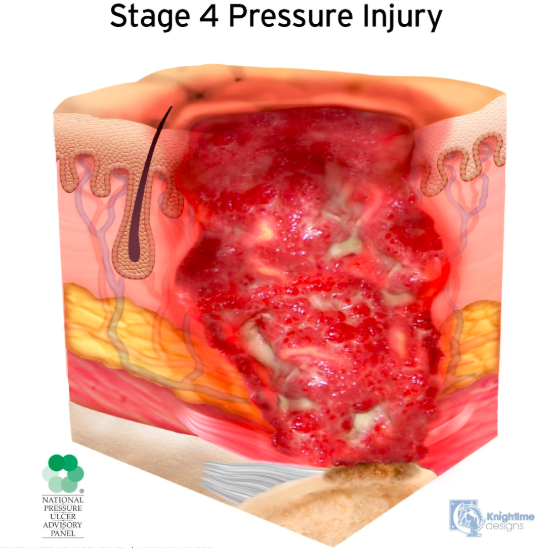 Full-thickness loss of skin, in which adipose (fat) is visible in the ulcer and granulation tissue and epibole (rolled wound edges) are often present. 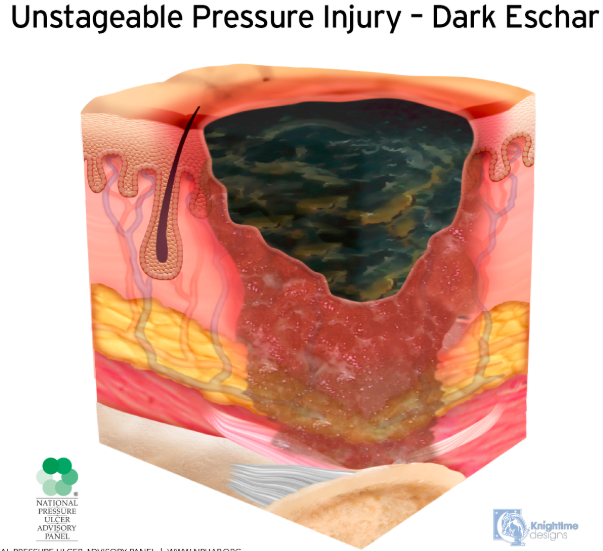 Slough and/or eschar may be visible. 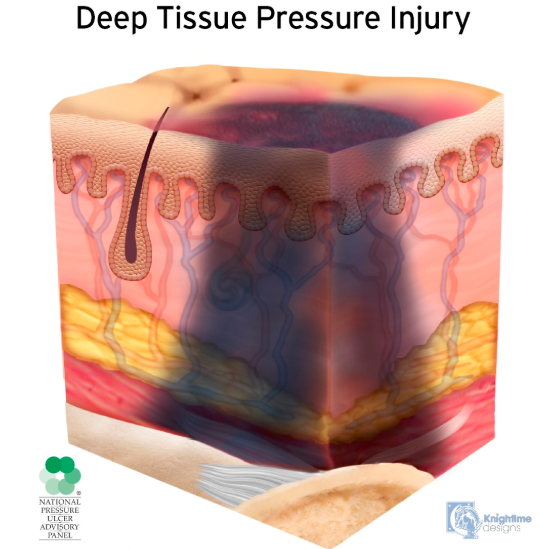 Full-thickness skin and tissue loss with exposed or directly palpable fascia, muscle, tendon, ligament, cartilage or bone in the ulcer. Slough and/or eschar may be visible. 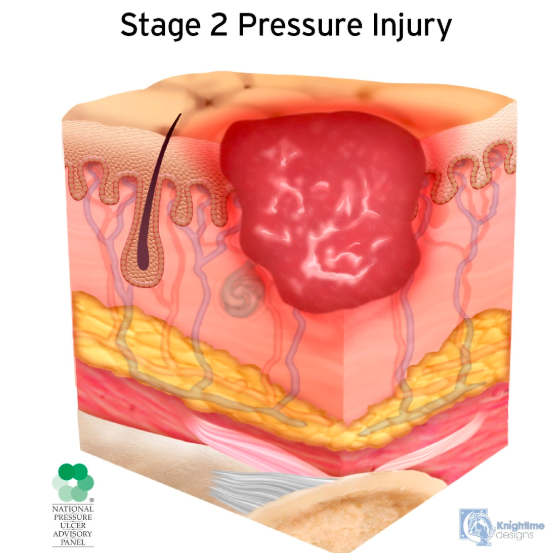 Full-thickness skin and tissue loss in which the extent of tissue damage within the ulcer cannot be confirmed because it is obscured by slough or eschar. 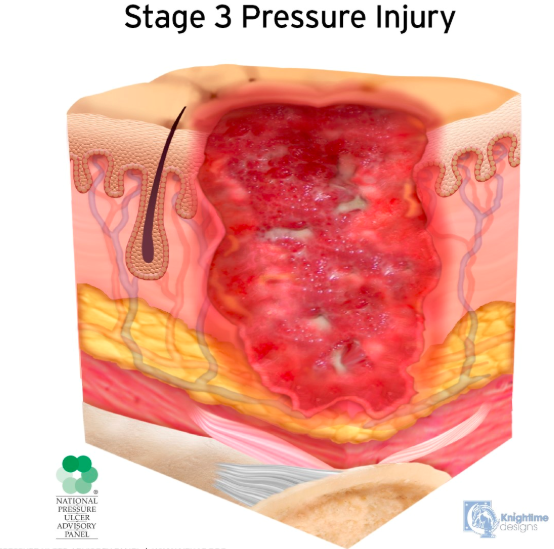 If slough or eschar is removed, a Stage 3 or Stage 4 pressure injury will be revealed. 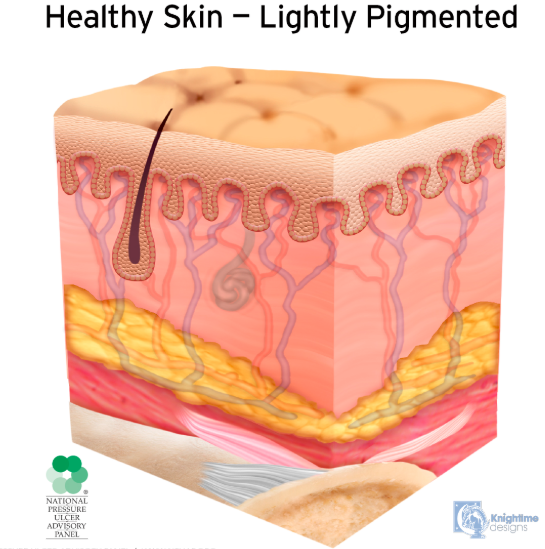 Intact or non-intact skin with localized area of persistent non-blanchable deep red, maroon, purple discoloration or epidermal separation revealing a dark wound bed or blood filled blister.